It is becoming increasingly common for lawyers dealing with the administration of estates to find that an estate contains foreign assets such as a property abroad, a foreign bank account or shareholdings in an overseas company, or that there are beneficiaries living abroad. The best way to repatriate the value of these assets or to send funds overseas is however often not properly considered by probate lawyers, often inadvertently and unnecessarily costing the estate and beneficiaries several thousands of pounds. Dealing with an estate with foreign assets or beneficiaries located abroad? Contact Worldwide Lawyers on 01244 470339 or email info@worldwidelawyers.co.uk. We can assist with the repatriation of the foreign assets and can make sure that you get the best exchange rate for your client, helping you to save your client thousands. 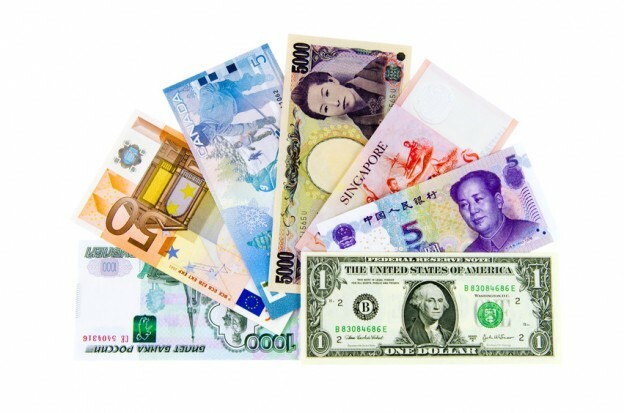 If there are foreign assets to be collected into the estate such as the balance of a foreign bank account or the proceeds of a sale of a foreign property or shares, the funds will usually be in a foreign currency. The foreign currency will therefore need to be converted before in can be received into your firm’s client account or into the executor’s or beneficiaries accounts. To ensure that you are acting in your client’s best interests and to ensure as much of the estate as possible is preserved for the beneficiaries, proper consideration should be given to the best way to receive the funds. The rate of the currency exchange can have a massive impact on the overall amount received however it is often overlooked by lawyers when dealing with the estate administration. When repatriating foreign assets, many lawyers often just blindly entrust the transfer to the bank allowing them to convert the estate funds into the home currency without considering the rate offered by the bank and the impact this could have on the overall amount received by the estate. Bank exchange rates tend to be very uncompetitive and may also be accompanied by commission charges just to transfer the money from overseas. This rarely achieves the best result for your client and can often end up unnecessarily reducing the amount actually received by the estate by a significant amount. What is the best way to repatriate foreign estate assets? The most cost effective way of receiving money from overseas is to use a recommended currency exchange specialist to assist you with transferring the money and exchanging the currency rather than receiving or transferring the funds directly into a high street bank account. The reason for this is because currency exchange specialists typically offer currency exchange rates that are 3-5% better than high street banks meaning 3-5% more of the estate funds will be preserved. For example, if you were transferring the equivalent of £100,000 you could costs your client up to £5000 by transferring the funds directly into your client account and allowing the bank to convert the currency. Worldwide Lawyers can recommend a Currency Exchange Specialist who is used to assisting lawyers and their clients with the repatriation of inheritance funds. All Currency Specialists recommended by Worldwide Lawyers are registered and authorised by the Financial Conduct Authority as well as fully regulated by HMRC. As set out in the example above, a small amount of research and planning can make a vast difference to the amounts actually received and can add a considerable amount of value for your client. By helping them receive the assets in the most cost effective way, you can often save them more than your fees have actually cost them adding real additional value for your clients!! It is recommended that anyone repatriating foreign assets (or indeed arranging to transfer money to beneficiaries located abroad), contacts a currency specialist rather than risk leaving the transfer to the banks. A good currency specialist will be happy to give you some no-obligation information about the best way to deal with the currency exchange and how they can help you save your clients money. Worldwide Lawyers can also assist should you require details of a recommended foreign lawyer to assist you in dealing with legal aspects of repatriating foreign assets, such as dealing with the foreign probate process, resealing Grants of Probate or dealing with sale or title to property abroad.